From July 1991-December 1992 Dr. Marsh was Senior Lecturer and Co-Director of the Cochlear Implant Clinic at the University of Melbourne Department of Otolaryngology in Melbourne, Victoria, Australia. Dr. Marsh served under Dr. Graeme Clark, the pioneer of the Cochlear Americas cochlear implant. While in Melbourne, Dr. Marsh performed a “world-first work” to restore the balance of a horse using horse anatomy books and a procedure that had been performed on humans in the past. The story was published in the September 10, 1992 edition of the Melbourne Herald-Sun. Dr. Marsh was certified as a Diplomate by the American Board of Otolaryngology on October 2, 1990. Dr. Marsh received a special honor of being included in the fourth listing of The Best Doctors in America. This listing is based on an exhaustive survey in which more than 35,000 doctors throughout the United States were asked to rate the clinical abilities of other doctors in their areas of specialization. Only those physicians who earned the consensus support of their peers were included. 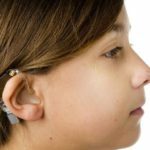 Dr. Marsh has provided numerous scientific presentations and lectures in the field of otolaryngology, especially in the area of cochlear implant surgery. Marsh, MA, Coker, N., Jenkins, H. “Temporal Bone Neoplasms and Lateral Cranial Base Surgery” in Otolaryngology Head and Neck Surgery, Third Edition vol. 4, chap. 197. Marsh MA, Jenkins HA, Coker NJ: “Extended Lateral Cranial Base Surgery” in Cummings et al (eds): Otolaryngology. St. Louis, Mosby-Year Book Inc., 1992 chap. 193, pp 3371-3387. Marsh MA, Coker NJ: “Surgical Decompression of Idiopathic Facial Palsy,” in Mattox DE (ed): Otolaryngology Clinics of North America, Philadelphia, WB Saunders Co., 1991, 24: 675-689. Marsh MA, Jenkins HA, Zane RS: “Vestibular Testing in the Hearing Impaired Patient,” Otolaryngology Clinics of North America, WB Saunders Co., 1991, 24 (2): 447-471, 1991. Lyos AT , Marsh MA , Jenkins HA, Coker NJ. “Progressive hearing loss after transverse temporal bone fracture.”Arch Otolaryngol Head Neck Surg. 1995 Jul;121(7):795-9. Marsh MA, Xu J, Blamey PJ, Whitford LA, Xu SA, Silverman JM, Clark GM. “Radiologic evaluation of multichannel intracochlear implant insertion depth.” Am J Otol. 1993 Jul;14(4):386-91. Erratum in: Am J Otol 1993 Nov;14(6):627. Marsh MA, Jenkins HA, Coker NJ: “Histopathology of the Temporal Bone Following Multichannel Cochlear Implantation.” Arch Otolaryngology Head Neck Surg 118:(11): 1257-1265, 1992. Marsh MA, Coker NJ, Jenkins HA. “Temporal bone histopathology of a patient with a nucleus 22-channel cochlear implant.” Am J Otol. 1992 May;13(3):241-8. Marvel JB, Marsh MA, Catlin FI. “Ossifying Fibroma of the Mid-face and Paranasal Sinuses.” Otolaryngol Head and Neck Surgery 107: 803-808, 1991. Marsh MA. “Pathologic quiz case 2. Nevus Sebaceus of Jadasshon (NSJ). ” Arch Otolaryngol Head Neck Surg. 1991 Jun;117(6):686-7, 689.